What are the Causes & Symptoms of High Blood Pressure? Blood pressure refers to the measure of force of blood that the heart pumps to the different parts of the body. The heart is responsible for pumping blood into the blood vessels carrying oxygenated blood throughout the body. High blood pressure which is also called hypertension is a dangerous medical condition since the heart needs to work harder to pump blood. 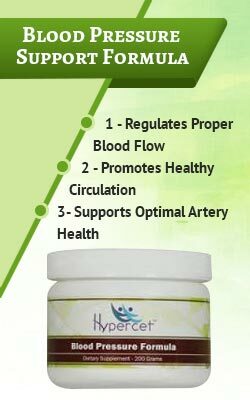 It contributes to atherosclerosis or the hardening of arteries and can lead to cardiovascular problems. It can even eventually cause heart failure. Thus, it is important to seek medical attention if you have high blood pressure. High blood pressure (HBP) is a chronic medical condition where blood pressure in the arteries are elevated. In other way, blood pressure is the measure of the blood force pushing against blood vessels. Then the heart pump the blood into arteries which distribute throughout the body. It is also known as hypertension in medical terms. High blood pressure can be a risk factor to chronic kidney disease, stroke or aneurysm. 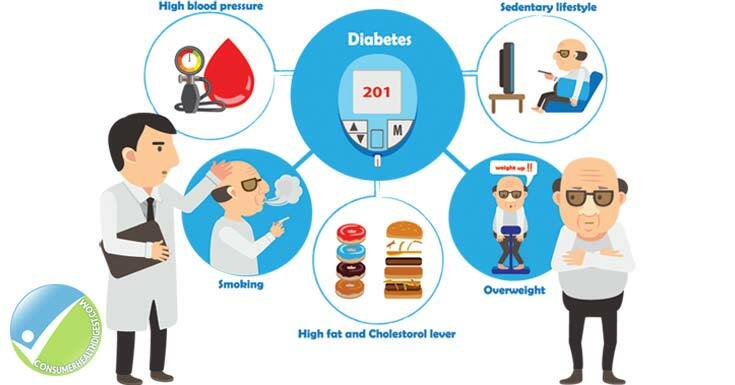 On the other hand, hypertension is vastly related to age, lifestyle, diet, stress and other factors. There are two stages in high blood pressure depending on the measure of the pressure. When high blood pressure occurs it pushes the heart to work harder putting strains on the heart leading to development of heart failure. The normal blood pressure reading is 120 over 80 (120/80) or less. For a blood pressure reading of 120-139 over 80-89, it is classified as prehypertension which requires a consultation with your healthcare provider for the appropriate treatment. Stage 1 high blood pressure is when the reading is 140-159 over 90-99. Stage 2 high blood pressure is when the reading is 160 and above over 100 and above. For people over the age of 60, 150 over 90 and above are already considered high blood pressure. It is very important for people who have high blood pressure to consult their healthcare professional to determine the proper course of action to lower it. There is no specific explanation on what causes high blood pressure in most cases. This is called essential or primary hypertension. Normally, the slight narrowing of arteries that increases the blood flow which in turn raise the blood pressure. However, the cause of narrowing arteries is unclear. It can either be stress, aging, genetics, lifestyle, obesity and a number of environmental factors. On the other hand, chronic kidney disease or hormone problems are conditions that causes the high blood pressure. It is known as secondary hypertension. Smoking makes the blood vessels narrower which can cause high blood pressure. It also reduces the oxygen content in the blood so the heart compensates by pumping faster which causes blood pressure to increase. Studies have found that overweight and obese individuals have a higher risk of developing high blood pressure compared to those of normal weight. Refer to your body mass index (BMI) as a guide if you are overweight or obese. Having a sedentary lifestyle raises the risk of developing high blood pressure. Regular cardiovascular exercise is one way to reduce your risk of developing the condition. Even two 30-minute sessions a week can make a difference especially when combined with a healthy, balanced diet. According to a research by the University of Michigan Health System, societies that don’t consume a lot of salt have a lower blood pressure compared to places where people consume a diet rich in salt. The problem is that Americans consume about double the recommended daily intake of salt. Health professionals recommend lowering intake of saturated fats which are found in animal sourced foods like beef and pork. Tran’s fats which are usually found in junk food is also bad and can contribute to the development of high blood pressure. Fat from plants and fish (monounsaturated fat) are generally good for you and may help improve cardiovascular health. Studies have found that people who regularly drink have a higher systolic blood pressure compared to those who do not drink. However, some studies have found that one to two servings of red wine or beer per day may improve heart health. Anything in excess can increase risk of developing hypertension. The older you get, the higher your risk of developing high blood pressure. This is why you need to be more careful with your diet and you need to exercise regularly. If you have family history of hypertension, you have a significantly higher risk of developing the condition. There are 8 common genetic differences which may increase risk of hypertension identified by an international scientific study. Research indicates that people with African or South Asian ancestry have an increased risk of developing high blood pressure as compared to people with Amerindian or Caucasian ancestries. High levels of stress in prolonged periods have been found to have a negative effect on blood pressure. A study by University of Texas researchers found that people with high stress jobs have a higher risk of developing hypertension unless they practice good stress management techniques. Certain medical conditions like diabetes, adrenal problems, thyroid disorders and chronic kidney disease can also cause hypertension. Symptoms of high blood pressure varies with age, lifestyle, diet plan, stress and other number of factors to be considered. There is no warning ahead whether you have hypertension or not. Regular monitoring or check-up is necessary. High blood pressure for one time cannot be considered as hypertension but it is also wise not to rule out the condition. People have high blood pressure without knowing it. Sometimes only a person learn he/she has hypertension after the damage of heart disease, kidney failure and other serious conditions. Symptoms of high blood pressure can be varied from time to time. Often people are not known of having high blood pressure until it produce symptoms with serious complications. There are common symptoms associated to high blood pressure. It can be a symptom of high blood pressure but may not be a reliable indicator as dizziness can occur for different disease. However, sudden dizziness, loss of balance or coordination or trouble walking are some of the signs of stroke and high blood pressure is one of the risk factor leading to stroke. Although severe headaches or headaches are symptoms of hypertension for some people, it is still unreliable indicator. On the other hand, except in hypertensive crisis where the pressure is reach at certain high numbers (higher than 180/110), the high blood pressure does not relate to headaches. In most cases, blurred vision occur when the eye muscle or nerve is damaged. Therefore, blurred vision is not directly related to high blood pressure. However, if untreated and lead to malignant hypertension then both eye and brain can be affected. Above symptoms are more likely to occur when blood fail to regulate properly causing critical blood pressure condition. Similar to nausea and vomiting, chest pain are less likely to occur during hypertension but if exists then it could be leading to heart attack. At the same time, high blood pressure is one of the risk factors leading to chest pain. When the high blood pressure occur it thickens the heart muscle leaving less space to flow blood from the lungs to chamber which pump throughout the body. Therefore, the blood flow back to lungs causing shortness of breath. Nosebleed are common problems for both children and adult. A combination of nosebleed and high blood pressure is dangerous to ignore. Nosebleed are a result of when pressure exceeding normal high blood pressure. It is a form of severe high blood pressure where bottom number of blood pressure reading exceeds more than 140. There are a number of symptoms include nausea, light-headedness and stroke. In case of malignant hypertension, it is required to lower the blood pressure as well as emergency hospitalization is necessary to prevent brain hemorrhage or stroke. It is important to understand that high blood pressure or hypertension can go through a person unrecognizing for years. It can cause the body damaging vital organs without showing any significant symptoms. It is necessary to have checked any symptoms that may relate to high blood pressure carefully. 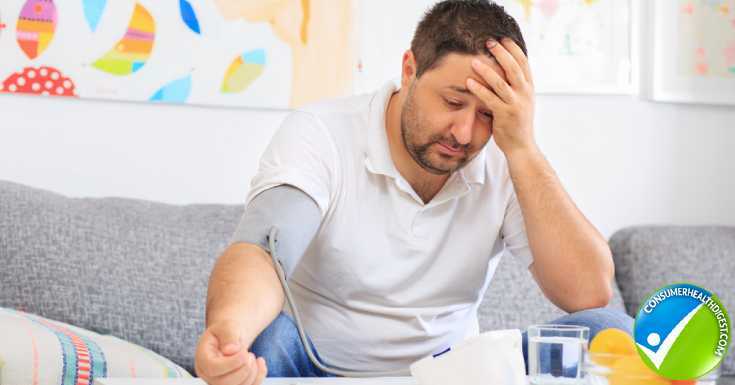 People with long-term high blood pressure may cause severe damage to the body including congestive heart failure, kidney failure, eye damage and arterial disease. There are many possible causes of high blood pressure. The most important thing to remember is to measure your blood pressure regularly and consult your doctor if it is above the normal blood pressure range. Hypertension can be controlled with some lifestyle changes like lowering salt intake but in some cases medication is necessary.